Bullying tip #38: Understand why bullies bully so that their words won’t hurt you. 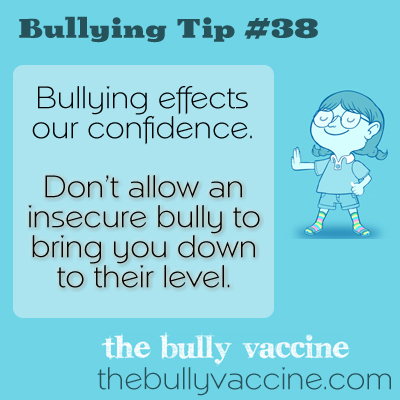 Don’t allow an insecure bully to bring you down to their level. Sticks and stones may break your bones but words can hurt forever. Understand why bullies bully so that their words won’t hurt you.